The most advanced technology cannot fulfill its potential until it’s in the hands of someone who really knows how to use it. And, that’s the truth that lies at the heart of Schneider Electric’s EcoXpert Partner Program. With more than 3,500 EcoXpert™ partners delivering integrated technology expertise to their clients in 50 countries around the globe, the EcoXpert network is staffed with experienced industry experts who are trained and certified on EcoStruxure™—our open, interoperable, IoT-enabled system architecture and platform as well as on Wiser, our connected technology for homes. By leveraging its unique ecosystem of industry experts, this single program creates endless opportunities for leading system integrators and the businesses, organizations, and individuals they serve. Working closely, the experts at Schneider Electric and our EcoXpert partners deliver unparalleled innovation and partnership across seven domains of expertise (building management systems, light & room control, critical power, connected power, datacom, substation automation, and home & small business), as well as through several segment specializations in hotels, healthcare, data centers, retail chains, and more. Schneider Electric’s EcoStruxure architecture and platform, coupled with the integration expertise and commitment to quality from our EcoXpert partners, ensures that our customers get solutions that deliver tangible value to optimize their efficiency, energy, and facility management. This brand new video showcases just why EcoXperts are the implementation arms of EcoStruxure in homes and buildings all over the world! A program unique in its industry, we, alongside our EcoXpert partners, invest so much in our collaborative relationship because we know that it’s the ingredient that sets us apart from the competition. Today’s demand for high-performing, IoT-enabled buildings that meet or exceed all the latest energy mandates while still optimizing operational efficiencies can only be met by companies that are able to provide truly innovative, exceedingly efficient, and fully integrated solutions. This is exactly what EcoXperts, as the implementation arms of EcoStruxure, are trained to deliver. By putting these advantages to good use, EcoXpert partners are able to differentiate themselves in the market as the industry’s most sought-after solution providers, minimize engineering and commissioning time to deliver projects on-time and on-budget, broaden their bid scope, and increase their profitability. For our EcoXpert partners, these are the drivers needed to ensure business growth – their absolute number one priority. Clients reap the benefits of this partnership as well. The EcoXpert network has earned its stellar, 5-star reputation by consistently delivering value over many years and countless successful projects around the world. The combination of best-in-class technologies and solutions paired with highly-trained and certified expert integrators reduces risk and gives clients the peace of mind that comes with projects that are on time, on budget, and which deliver operational and energy savings. Listen to these testimonials direct from our customers about their success stories brought to life by an EcoXpert partnership. Goal: Bring a connected and integrated solution to Grand Medica for efficiency, visibility, and the capability for easy future upgrades — enhancing hospital performance and patient satisfaction. Solution: A connected, IoT-enabled digital hospital architecture offers visibility into all engineering functions. Implemented by an EcoXpert partner, this helps improve energy management and productivity through real-time remote management. 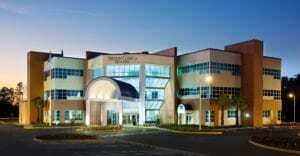 Read the full Grand Medica story. Goal: Centralize building management, reduce operational complexity, and increase energy efficiency while creating memorable guest experiences. Solution: Utilize Schneider Electric’s EcoStruxure for Hotels solution— including EcoStruxure Building Operation, Guest Room Management System, and EcoStruxure Power Monitoring Expert at the Edge Control level— to reduce operational complexity, increase energy efficiency, and maintain guest experience excellence. 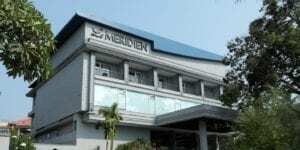 Read the full Le Meridien Goa story. 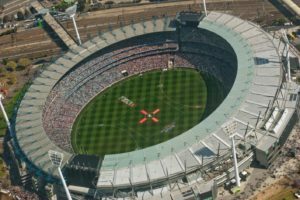 Goal: Transform the massive 100,000-seat Melbourne Cricket Ground (MCG) venue into a state-of-art showcase of energy efficiency and IoT technology that delivers winning sustainability, savings, efficiency, power availability, and more. 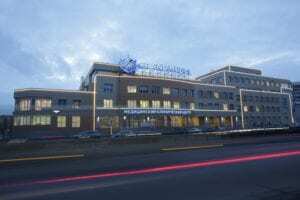 Solution: In addition to a power monitoring system and C-Bus to power the facility’s massive lighting automation system, the team also implemented a full-fledged Utilities Monitoring and Visualization System (UMVS), a hybrid IoT cloud-hosted portal for power monitoring, energy modeling, water and gas tracking, power quality analytics, and real-time cost modeling plus cost center creation for real-time optimization, billing simulation and verification, historical benchmarking, and sustainability SPO alarming. Read the full MCG story. Goal: Integrated building automation and control across multiple healthcare facilities that protects past investments, ensures reliable performance and improves the care and comfort of patients, visitors, and staff. Read the full Watson Clinic story. While we are proud of the technology behind our EcoStruxure platform and the hard-won expertise of our EcoXpert partners, we are most proud of the way each member of our collaborative team is dedicated to developing and sustaining long-term relationships. 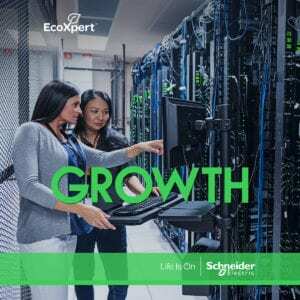 Mutual and unshakeable commitment to the longevity of shared success for Schneider Electric, our EcoXpert partners, and—ultimately—our clients is the hallmark of the EcoXpert program. We have the privilege of working with some of the world’s most respected and prestigious brands and organizations because they know they can rely on us to be there from start to finish, delivering an all-in-one solution that they can count on for the life cycle of their building. From individual homeowner projects to the highly-sophisticated and complex operational goals and energy initiatives of global corporations, there’s no challenge we can’t solve together. 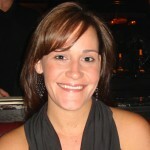 With EcoXpert partners, we thrive on the success of one program, one network, endless solutions. Interested in becoming an EcoXpert partner? Visit our website for details on the many benefits. Looking for an EcoXpert for your next project? Find out how choosing an EcoXpert delivers efficiency, innovation, reduced risk, and peace of mind.